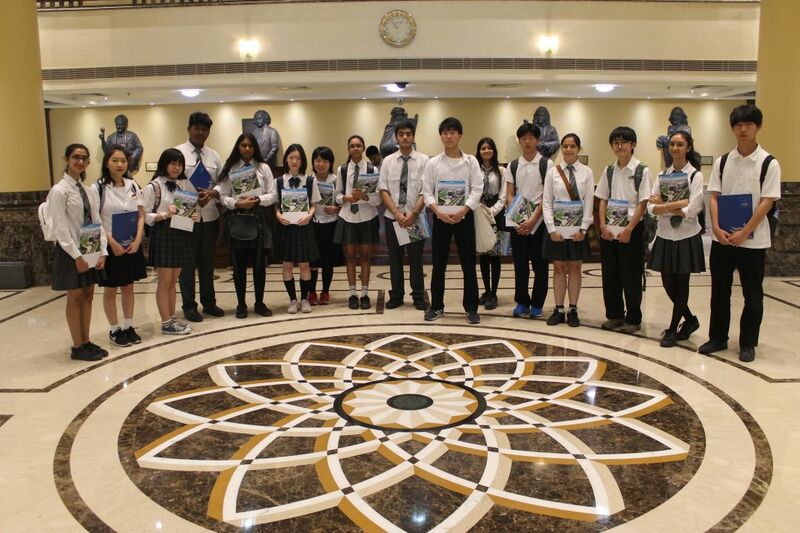 The Goenkans welcomed eight Japanese students on 28th and 29th March, 2019 for an exchange program held at G.D. Goenka Education City. 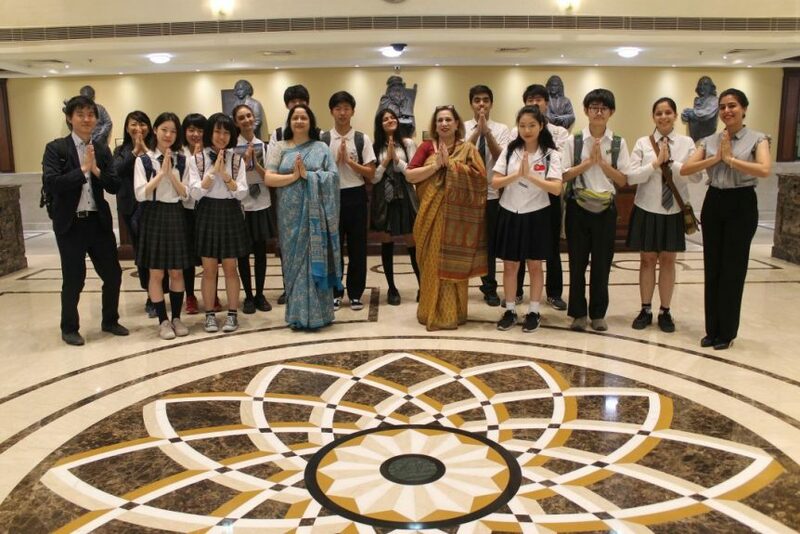 It involved learning together new perspectives through interchanging Japanese and Indian culture with each other, doing activities to boost teamwork spirit, thus creating a bond through learning and most importantly making new friends! 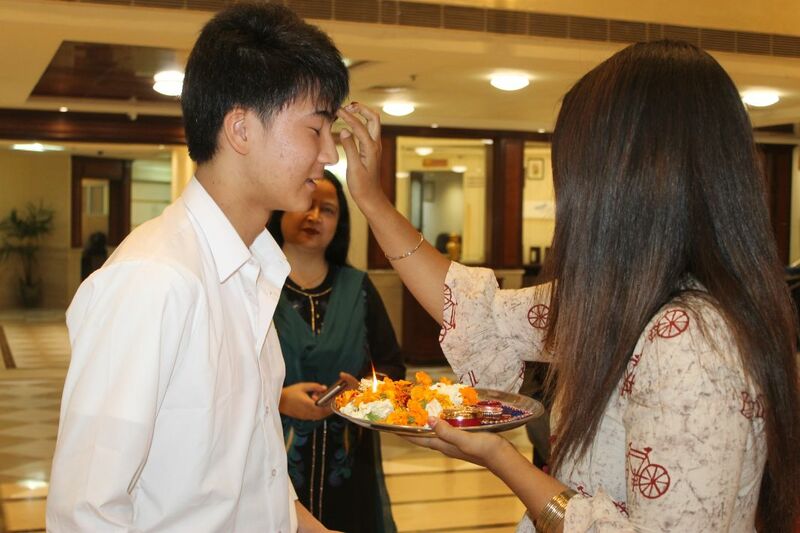 The Japanese students were welcomed with a red tikka on their forehead, a traditional Indian way. 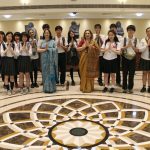 To make them comfortable, they were assigned a Goenkan buddy and off they went on a guided campus tour.“Art of Mobile Film Making” was a two hour lecture conducted by school of communication at GD Goenka University. The students recorded the lecture in their mobile phones which was an evidence of their fabulous experience and enthusiasm. 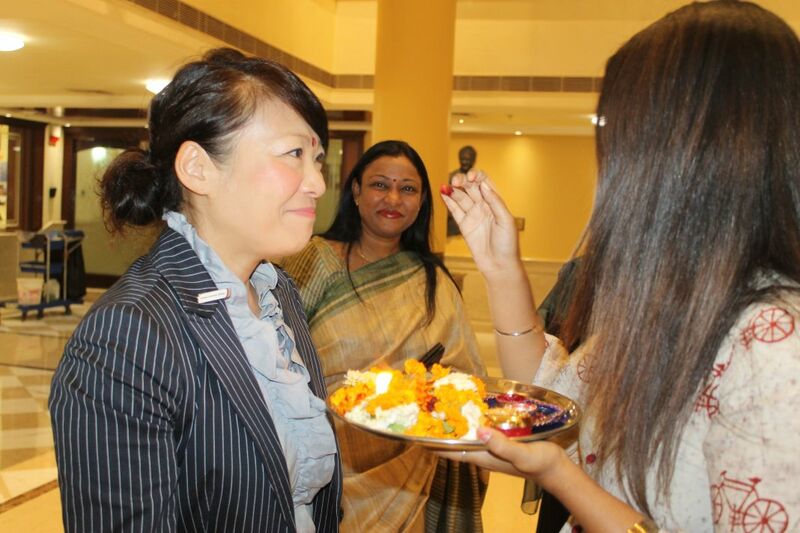 A lavish lunch consisted of Japanese and Indian cuisine, prepared by the students of hospitality of G D Goenka University was served to all. The lunch was followed by a lecture on “android application development” conducted by the school of engineering which further proved that how many amazing things can be done on phone. Sports time was followed after a quick snack break, where the students were taken to the field for some very engaging and fun games like kabaddi, caterpillar race and some plank walking. The day concluded with a short goodbye and the students took home a lot of fun and knowledge. 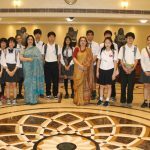 Just in a days’ time the Japanese students developed a bond with their buddies, who escorted the guests to the University. A lecture by Mr. Gaurav Shorey, an environmentalist, proved more than a lecture. He engaged everyone in an activity of building a newspaper structure in teams under 15 min. 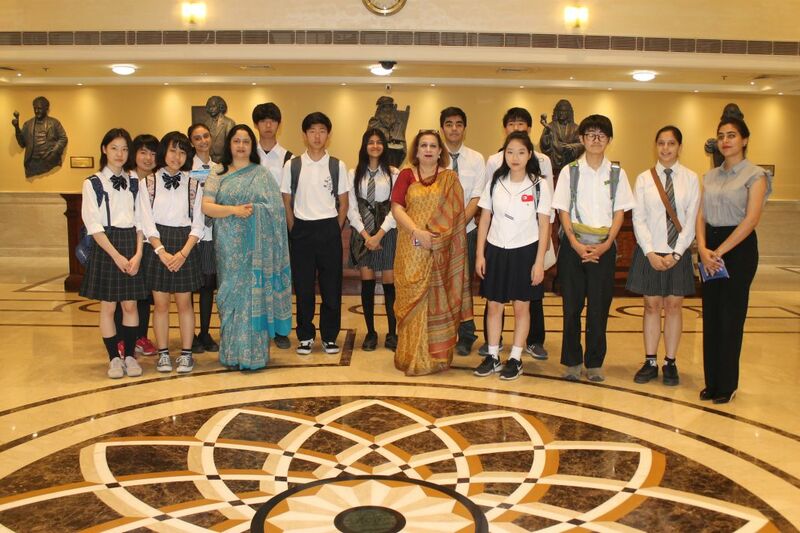 The competitive trait of the students involved them immensely and they accomplished the task within the time. Eventually, the lecturer discussed the hard reality of concrete jungles which are substituting our natural environment in the race of human competition similar to what the students displayed in the activity. 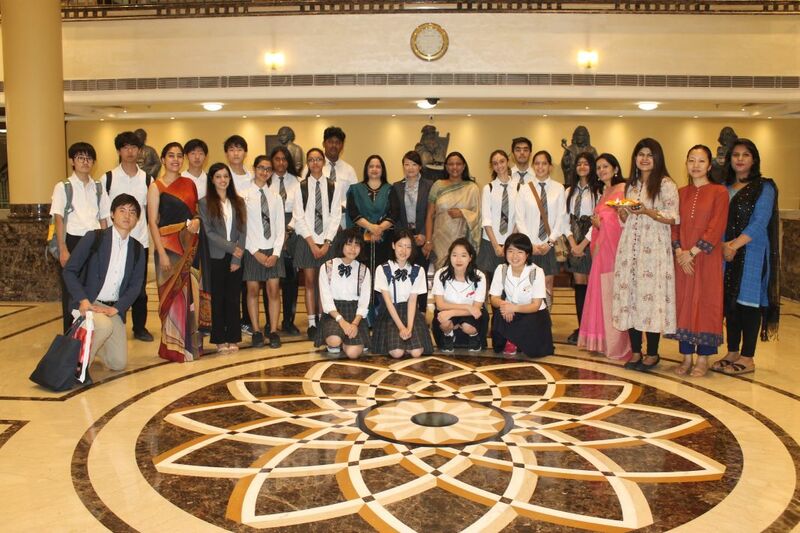 The activity was followed by a presentation on sustainable development goals for a better world. The session resumed after lunch, which was prepared by the students of hospitality. 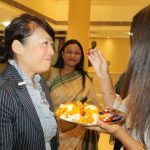 They displayed their culinary skills by spreading out a fantastic buffet of non-veg and veg Japanese and Indian dishes. 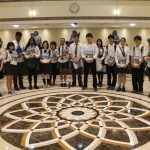 In the next half of the session, Mr Gaurav Shorey discussed about the sustainable development goals protestation and introduced some Japanese words that had deep meanings and were the solution to half of the problems that exist in the world. The lecture concluded with some heavy thoughts to take back home. 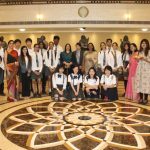 Yet another Exchange program came to an end.The students bid adieu to each other, promising to meet again and exchanged hugs and selfies to preserve the memories.